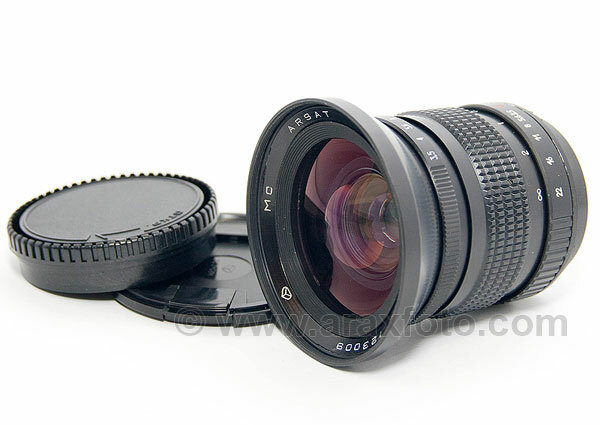 MC Mir-26 (ARSAT), 3.5/45 wide-angle lens for medium format Kiev camera. 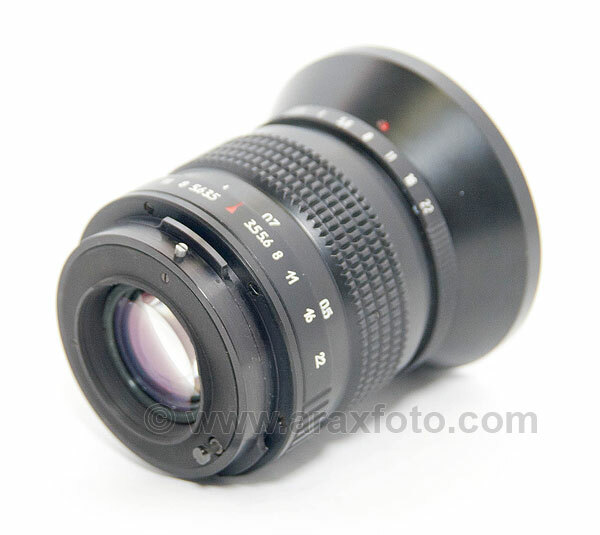 Lenses / MC Mir-26, 3.5/45 wide-angle lens. 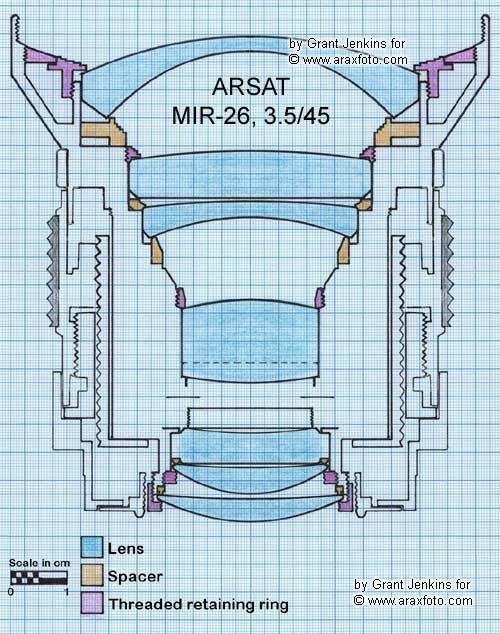 MC Mir-26 (ARSAT), 3.5/45 wide-angle lens for ARAX. Selling includes lens with front and rear caps, protective bag.